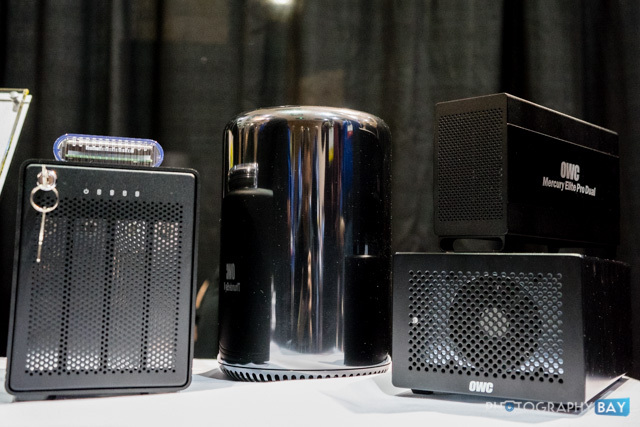 With the Thunderbolt I/O platform in full swing on the Mac and growing in the PC, the availability of Thunderbolt peripherals is growing rapidly. 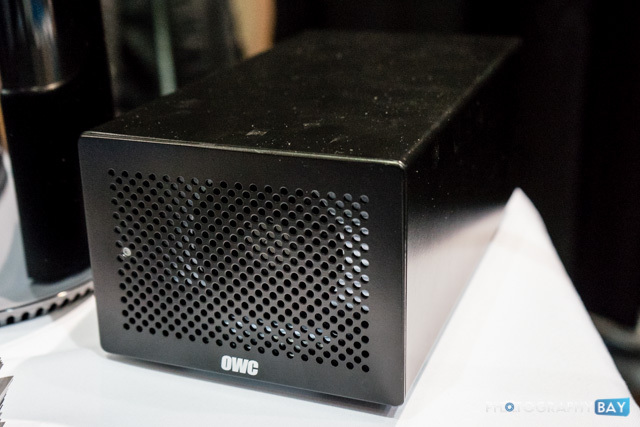 OWC was at CES 2014 showcasing several of its new Thunderbolt drives and PCIe card chassis. 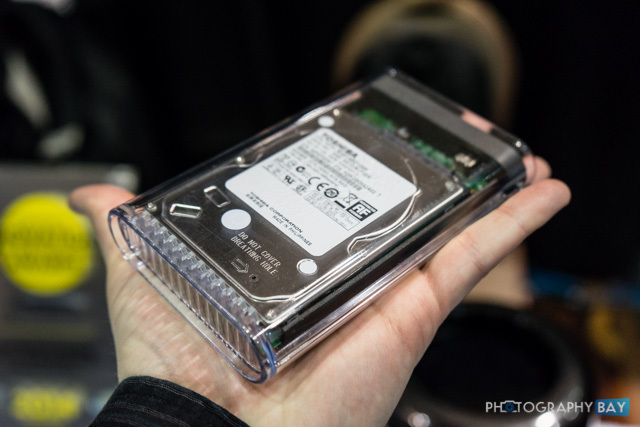 The OWC On-The-Go Pro is an external hard drive chassis available with laptop-sized 2.5″ hard drives or SSD drives. 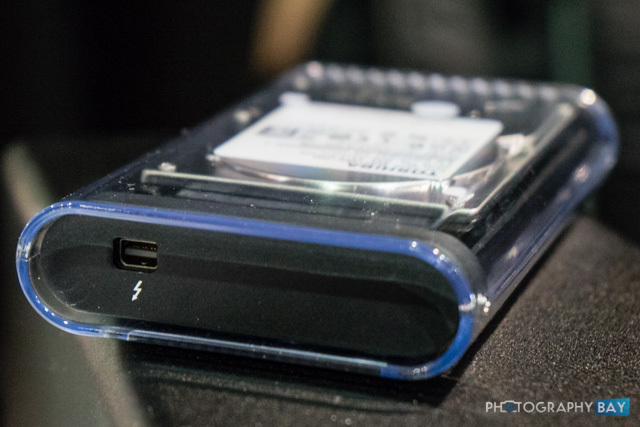 The On-The-Go Pro features a single Thunderbolt port, so it will need to reside at the end of your daisy chain. 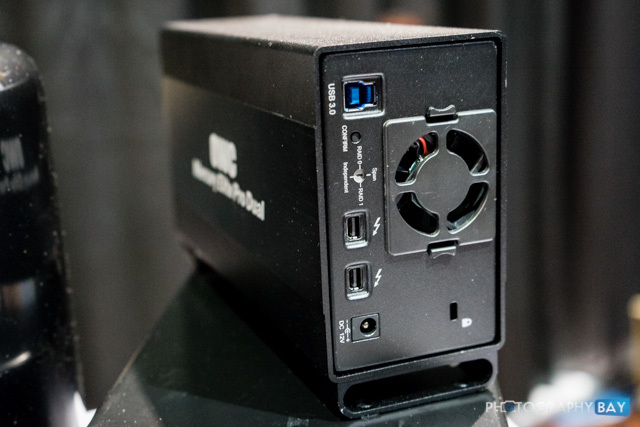 As a compact unit, however, it is designed more for portable use and should be a nice speed option when combined with a SSD. 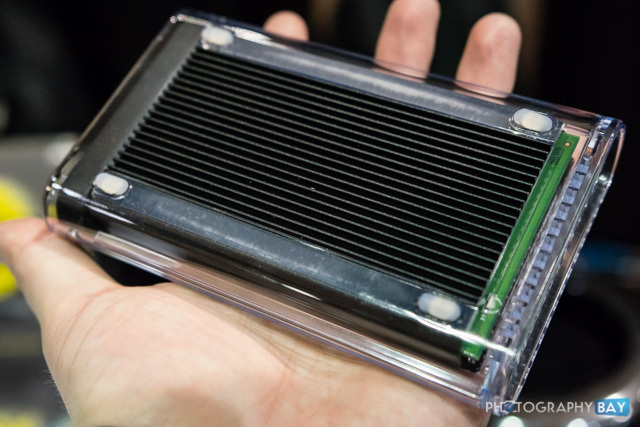 The case includes a built-in heat sink. Prices will start at $159 and should be available soon. Check it out here on OWC’s website. 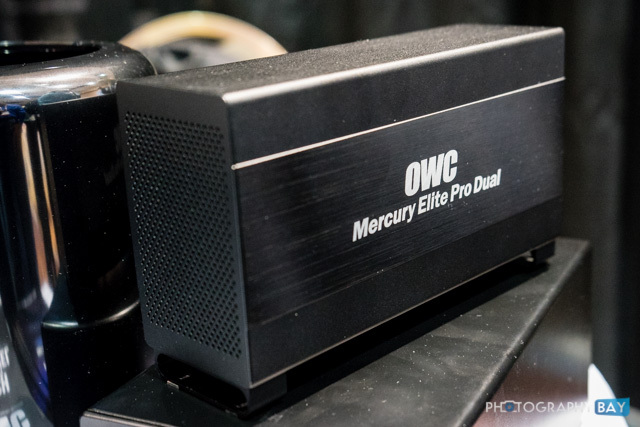 The OWC Elite Pro Dual is a two-bay external hard drive enclosure with two Thunderbolt ports and a USB 3.0 port. It can be configured as RAID 0, RAID 1, span or independent drive modes. You can purchase the enclosure kit alone for $299.99 or add up to 8TB of storage (two 4TB hard drives) for $779.99. More info here on OWC’s website. 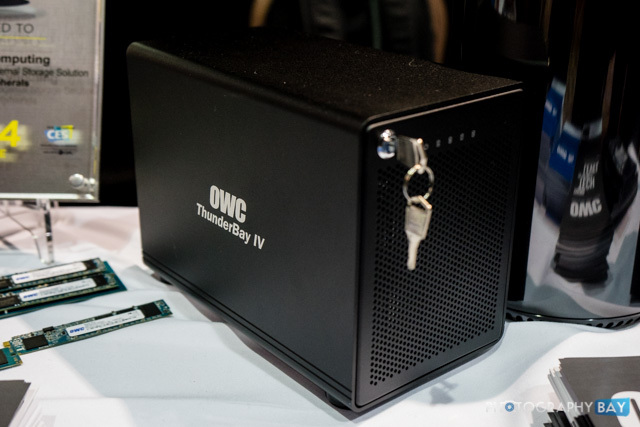 The OWC Thunderbay IV is a 4-bay external hard drive enclosure that is yet-to-be-released. 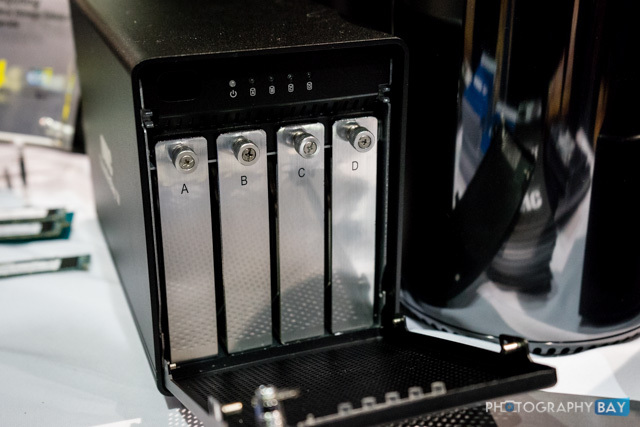 You can install up to four 3.5″ hard drives or SSDs inside with the ability to configure them as RAID or independent drives and includes support for the latest 6G drive speeds. The Thunderbay IV includes two Thunderbolt ports on the rear and a large fan for heat dispersion. The front of the Thunderbay IV enclosure features a lockable cover with access to the four drive bays. 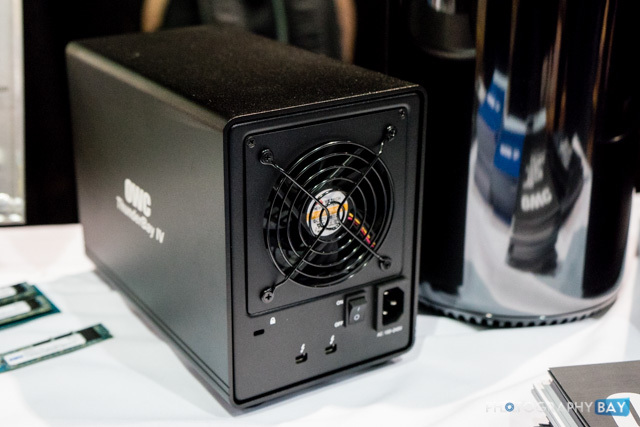 The OWC Mercury Helios 2 PCIe Thunderbolt expansion chassis is the latest addition to the Helios line, and now features two PCIe card slots instead of just one on the original Helios. 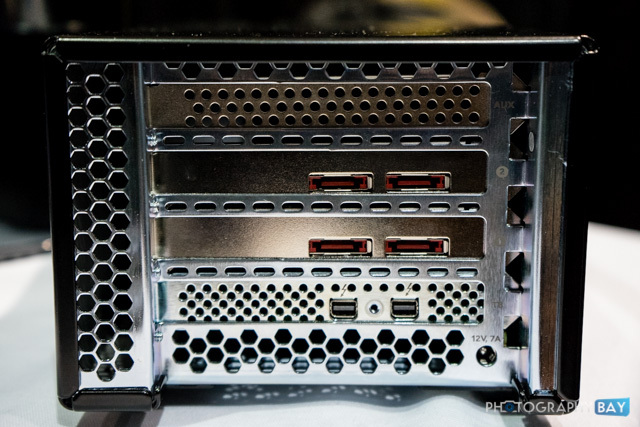 The Helios two now features the ability to add a double-width PCIe 2.0 card along with another single-width card. When it becomes available, it will run $479.99.